This e-text comes from multiple editions of Challoner's revised Douay- Rheims Version of the Holy Bible. In 1568 English exiles, many from Oxford, established the English College of Douay (Douai/Doway), Flanders, under William (later Cardinal) Allen. In October, 1578, Gregory Martin began the work of preparing an English translation of the Bible for Catholic readers, the first such translation into Modern English. Assisting were William Allen, Richard Bristow, Thomas Worthington, and William Reynolds who revised, criticized, and corrected Dr. Martin's work. The college published the New Testament at Rheims (Reims/Rhemes), France, in 1582 through John Fogny with a preface and explanatory notes, authored chiefly by Bristol, Allen, and Worthington. Later the Old Testament was published at Douay in two parts (1609 and 1610) by Laurence Kellam through the efforts of Dr. Worthington, then superior of the seminary. The translation had been prepared before the appearance of the New Testament, but the publication was delayed due to financial difficulties. The religious and scholarly adherence to the Latin Vulgate text led to the less elegant and idiomatic words and phrases often found in the translation. In some instances where no English word conveyed the full meaning of the Latin, a Latin word was Anglicized and its meaning defined in a glossary. Although ridiculed by critics, many of these words later found common usage in the English language. Spellings of proper names and the numbering of the Psalms are adopted from the Latin Vulgate. In 1749 Dr. Richard Challoner began a major revision of the Douay and Rheims texts, the spellings and phrasing of which had become increasingly archaic in the almost two centuries since the translations were first produced. He modernized the diction and introduced a more fluid style, while faithfully maintaining the accuracy of Dr. Martin's texts. 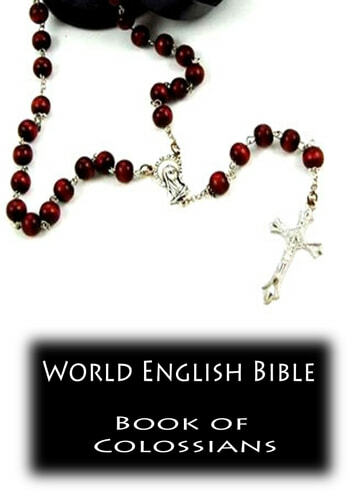 This revision became the 'de facto' standard text for English speaking Catholics until the twentieth century. It is still highly regarded by many for its style, although it is now rarely used for liturgical purposes. The notes included in this electronic edition are generally attributed to Bishop Challoner. Colorful Truths: Can We Have the Mind of Christ?